Two seasons ago it appeared the Oilers had put a decade of frustration behind them. Which made last season's disappointment that much more difficult for fans to take. The Oilers have the NHL's best player on their roster. They can't afford to waste him. Oilers coach Todd McLellan opened training camp by asking his players: "Who are you?" Are they the team that finished with 103 points and went to the second round of the playoffs in 2016-2017? Or are they the one that won just seven of its first 20 games last season on the way to a sixth-place finish in the Pacific Division and another missed post-season? 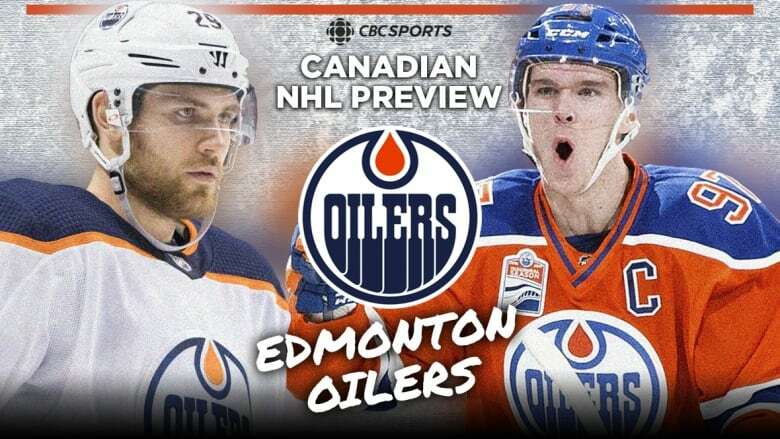 It seems inconceivable that a team featuring Connor McDavid, Leon Draisatl and Ryan Nugent-Hopkins could have the worst power play in the NHL, but last season's 14.8 per cent success rate doomed the Oilers to missing the playoffs. The penalty kill, at 76.7 per cent, wasn't much better, ranked 25th, which explains why a team that finished with 103 points and won a playoff round a season previous was finished in early April. Has the NHL's torch been passed? The Oilers made no major changes in the off-season, so coach Todd McLellan will have to figure out a way to use the same parts and create a different result. One of those changes involves pairing scoring champ McDavid (41G, 67 A, 108 Pts) with RNH (24-24-48), moving the plodding Milan Lucic (10-24-34) to the second line with Draisatl (25-45-70). Ty Rattie (5-4-9) will get a chance to see if his late-season chemistry with McDavid can carry over for a full season. The defence is hurt with the loss of Andrej Sekera (torn Achilles, out indefinitely), but Oscar Klefbom (5-16-21) appears fully healed from last season's shoulder problems, and the hope is Darnell Nurse (6-20-26) takes his new two-year deal and runs with it. Cam Talbot (.908 SV%, 3.02 GAA) will need to be great from the start of the season to establish both his confidence, and his team's confidence in him. The Western Conference is stacked, and the Oilers are going to have to be hard-nosed to win games. Speed and pretty passes alone won't beat the likes of Winnipeg, San Jose, Nashville and Anaheim. Of note, McDavid turns 22 in January, an age when superstars often have career-defining years. Wayne Gretzky set the NHL record with 92 goals. Mario Lemieux had his first 70-plus goal season and ended Gretzky's eight-year hold on the Hart Trophy. Sidney Crosby won his first Stanley Cup. The Oilers, a team accused of wasting the talents of Taylor Hall, Jordan Eberle and RNH, can't afford to do the same with McDavid.